In Tunisia, Capparis spinosa L. is widely distributed in different geographic areas. Although it has been extensively studied morphologically, the phylogenetic relationships by using molecular markers among Capparis taxa are still unclear. The Inter-Simple Sequence Repeats (ISSR) molecular markers were used to assess the genetic relationship of this species cultivated in the North and the South of Tunisia. Fifteen ISSR primers were analyzed to characterize the genetic profiles of 67 different genotypes. The ISSR markers produced 108 bands ranging from 4 (ISSR8) to 11 (IAM12 and ISSR16) with an average of 7.2. The observed heterozygosity ranged from 0.43 to 0.95 for ISSR7 and IAM12, respectively. The Polymorphic Information Content (PIC) ranged from 0.48 at the UBC808 to 0.85 at IAM12 and eight loci could be classified as useful for genetic mapping (PIC > 0.7). The genetic diversity within a population was high and varied according to the subspecies and bioclimatic zones. Both UPGMA (Unweighted Pair Group Method with Arithmetic mean) and PCoA (Principal Coordinate Analysis) analyses showed that populations from each subspecies grouped together. However, the structure analysis generated more groups than the PCoA plot and UPGMA, which revealed the mixed allelic of the species Capparis spinosa in Tunisia. 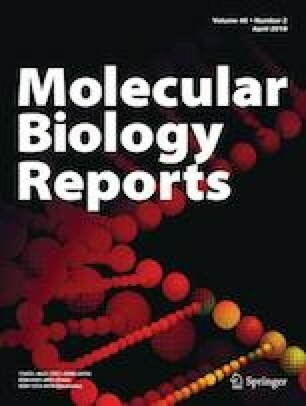 The authors thank the National Genes Bank of Tunisia Institute and Mss Siwar Nsiri for her comments on an early version of manuscript. This article does not contain any studies conducted on human or animal subjects.